300 Hamline Avenue, a short walk from the galleries. 1301 Marshall Avenue, at the NW corner of Marshall Avenue and Syndicate Street North, a short walk from the auditorium. 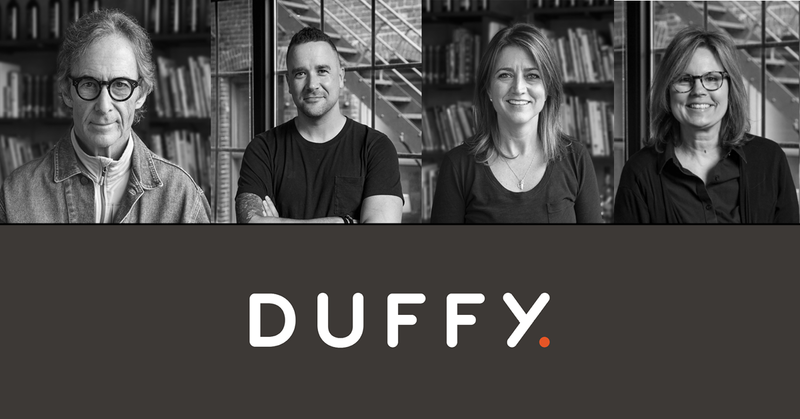 Join us for a presentation by Duffy and gallery reception celebrating the firm’s three decades of internationally influential branding—an evening of inspiration, conversation, and refreshments. Free parking is available on Marshall Avenue and Syndicate Street, or in campus lots after 4:30 pm. This Concordia Leaders of Design Series is partially funded by AIGA Minnesota and a Faculty Development Grant from Concordia University, St. Paul. Past exhibitions, including those originating at the now-closed College of Visual Arts, featured the Tokyo Type Directors Club, Lester Beall, Minnesota Women Designers, Michael Vanderbyl, Paul Rand, Alvin Lustig, Hatch Design, Steven Heller, Larsen, Patrick Coyne, and other influential designers.